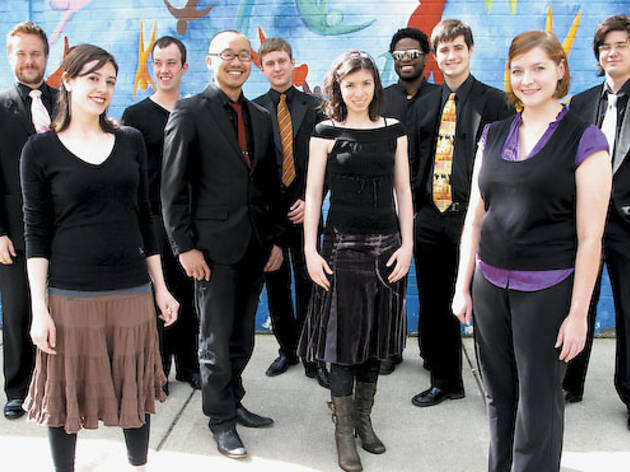 Anaphora, Pacifica Quartet, Chicago a cappella, Chicago Opera Theater and Third Coast Percussion relive the highs and lows of their 2010–11 seasons. The highlight of your season? For the entire group, I would say performing live on WFMT as part of PianoForte’s Salon Series. The program highlighted two of the founding performers with Aurelien [Pederzoli, violin] playing one of his favorite Mozart sonatas and Cory [Tiffin, clarinet] performing Debussy’s piano reduction of his “Première Rhapsodie” for clarinet and orchestra. I have been interested in manipulating as much of the audience’s experience as possible, creating an intentional atmosphere that links the elements of space, light, scent and acoustics. The first of these experiments was with “Sonorous Shades: Cool Tones” in December. A combination of bad weather, electronics difficulties and my ambitions being slightly overwhelmed by the enormity of the space created an event that I felt didn’t quite hit the mark. Performing John Cage’s three Constructions at Gottlieb Hall. Cage was one of the great composers of the 20th century, and without his early music for percussion, the idea of a percussion ensemble quite literally wouldn’t exist. Look for our album of Cage’s percussion music next season. This season we premiered an amazing new piece of music by composer David T. Little on an evening that conflicted with the CSO’s new-music series, MusicNOW. There is so much great music happening in Chicago, it can be hard to avoid these conflicts. Tough to choose. Our Shostakovich cycles in Chicago, New York and Urbana. We are drawn to the great quartet cycles because we get immersed in the mind of a composer. We’d play more music! Even though we play 90 or so concerts a year, there is a still lot of fantastic music out there. Not just the classics, but also interesting new composers. With performing, rehearsing, teaching and our personal lives, we can only do so much. Know how we could arrange a couple of extra months in the year? The immense impact that Medea, a virtually unknown work by Charpentier, had on our audience. I was taken aback by the enthusiastic welcome for the first-ever production in Chicago of a French baroque opera. It is a shame that we did not have full houses for these splendid productions. We should have spent more money on marketing this wonderful work. 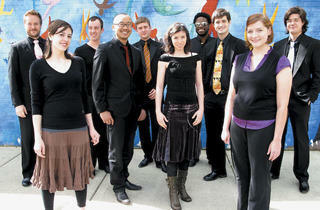 Our “Chicago, Chicago” concert, which traced the history of the city. It went from French voyageur music through early blues/gospel to the late 1960s, along with narration from the stage. Now we’re pursuing follow-up performances. We worried some that people would find it off-brand. Instead they embraced it. Lesson: People don’t pigeonhole you as long as the music you make is convincing.